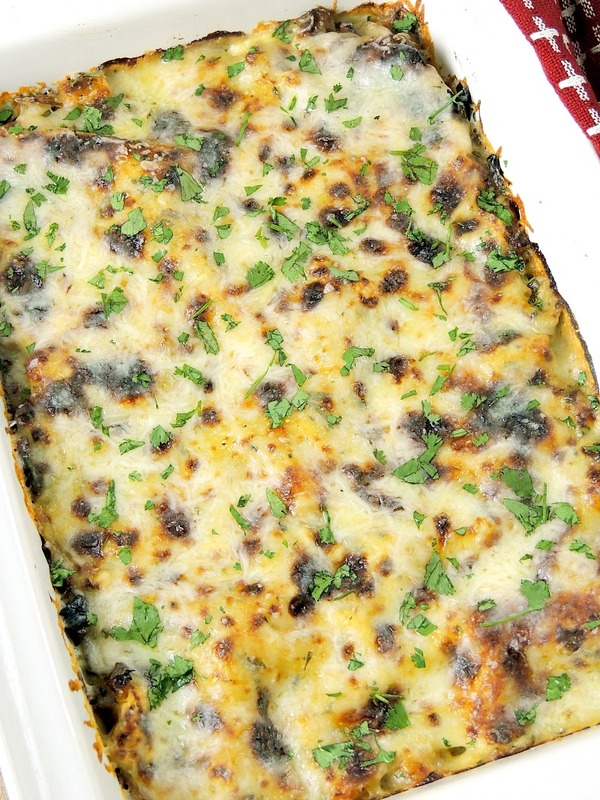 Leftover Turkey Lasagna - No more boring leftover turkey sandwiches, transform that holiday meal into this delicious lasagna and watch your family go crazy for it! So how did you survive the holidays? The food, the fun, the mess? This was the first year that the G-baby really got into the swing of the whole presents thing and once she was turned loose it was like watching the Tasmanian devil spin through the living room! Left behind, in her wake, was piles of wrapping paper, bows, boxes, and ribbon. Every toy needed to come out of its box, plastic, or bag. We got her a Disney princess dress-up kit that had tops, skirts, tiaras, etc for 4 different princesses and, by the end of the evening, she had at least 3 different princess outfits on att he same time! We couldn't stop laughing watching her bounce from dress up, to art desk, to baby doll, and back to dress up! It was nice to hear so much laughter and feel so much happiness. You see, we weren't sure how things were going to go. Many of you know that we adopted a rescue dog 2 years ago. His name was Rocky and he had a pretty rough beginning to his life. He was 6 years old when we got him and we had to teach him how to be a dog. Not much for cuddles and kisses, he spent the first few days observing and getting to know the family from a distance. Well, he got to know most of the family from a distance. Nope! After just a bit he was all up in her business. He never got pushy, or aggressive about it, but it was obvious from the get go that he loved her and felt very protective of her. Oh and she looooooooooooooved him too! She would pat, and pet, and nuzzle, and kiss him, even at 6 months old she knew she loved him and he loved her. If that isn't enough to melt your heart I don't know what is! He was her pup-pup and she was his girl. But I guess my Dad needed a pup-pup to keep him company in heaven because Rocky developed bone cancer and, within 4 months it was enough to take him away from us. We had to send him to the Rainbow Bridge just a couple of days before Christmas. It was heart-wrenchingly difficult to make that decision and one we worried might cause Kylee a lot of sadness. But that wasn't the case. She asked about him and we explained that he was in heaven now and that any time she was missing him she could look up to the sky and know that he was watching her and making sure that she was OK. Her very own 4 footed guardian angel. That seemed to make her happy. So the rest of the night belonged to Miss Kylee while we all gathered around her to watch. Well, most of the night belonged to her. Until the food hit the table! We had Roasted Turkey, Herbed Beef Tenderloin Roast with Port Wine Cranberry Sauce, Julia Child's Gratin Dauphinois (Au Gratin Potatoes), Sheet Pan Roasted Vegetables, Spring Greens Salad with Apples and Goat Cheese, rolls, and cake. All you could hear was the clanking of dishes and a lot of ooohhsss aahhhssss and YUM! Ya, a ton of leftovers and dishes to deal with. I had decided waaaay before the day was even here, that I was going to do something different with the leftovers. I love to come up with new ways to enjoy leftovers. Don't get me wrong, I loves me a turkey sandwich, but I just HAD to do something new and exciting. Well, I decided to make a lasagna, even though I have never made one before. I have always been nervous to try. So, of course, the first time I give it a whirl had to be in a non-traditional way. Maybe I thought that, if it didn't come out right, I could just blame it on the ingredients and not on my cooking skills. It came out delicious and I am sure it will be something the family will request every holiday now. 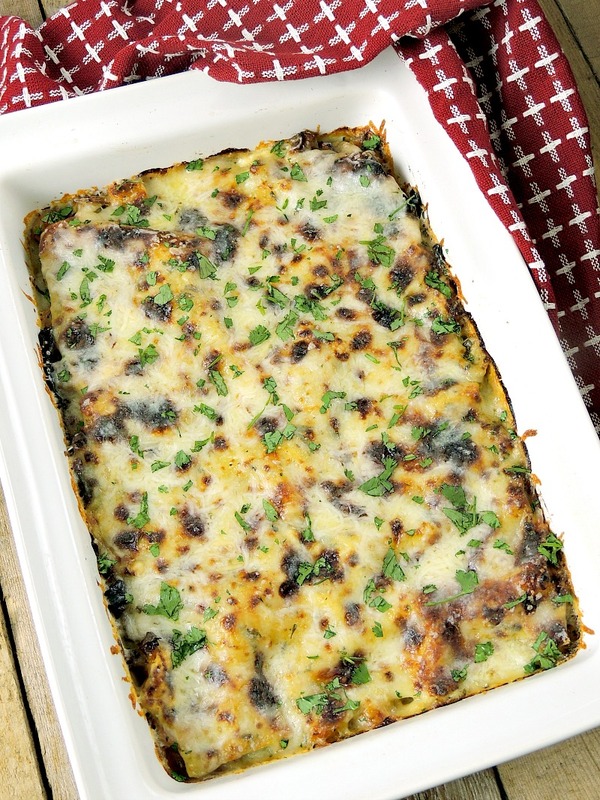 No more boring leftover turkey sandwiches, transform that holiday meal into this delicious lasagna and watch your family go crazy for it! Heat oil and butter in a large skillet set over medium heat; cook onion, garlic, 1 tablespoon sage and 2 teaspoons thyme for about 5 minutes or until softened. Sprinkle flour over top; cook, stirring, for 1 minute. Gradually whisk in the chicken stock and milk until smooth. Bring to a boil, stirring constantly. Reduce heat to medium-low; simmer for about 10 minutes or until slightly thickened. Stir in salt, pepper, and nutmeg to taste. In a medium bowl, combine the ricotta cheese, 1 1/2 cups of the Italian cheese blend, 1 teaspoon sage, 1 teaspoon thyme, and 2 tablespoons parsley. Spread 1/2 cup of the gravy evenly over bottom of greased 13- x 9-inch baking dish. Place 3 noodles over sauce. Spread another cup of the gravy, half of the turkey, butternut squash, sprouts and ricotta over top. Repeat layers. Place remaining 3 noodles over top; spread remaining sauce evenly over top and sprinkle with remaining cheese. Cover tightly with foil; bake for 30 minutes. Remove foil and bake for 15 to 20 minutes or until top is golden brown and filling is bubbling. If you like your lasagna browned more, broil for 2 or 3 minutes. Let stand for 10 minutes and sprinkle with fresh parsley before serving. 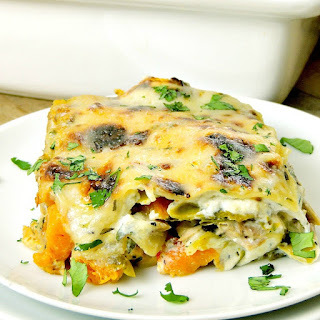 This was an awesome idea to put the turkey in the lasagna I always think of sandwiches and soups with leftovers but I love this version. Thank you for the recipe. What a great idea for leftover turkey. I think everyone in my family would love this. I am sorry to hear about your dog though. That squeezes my heart. 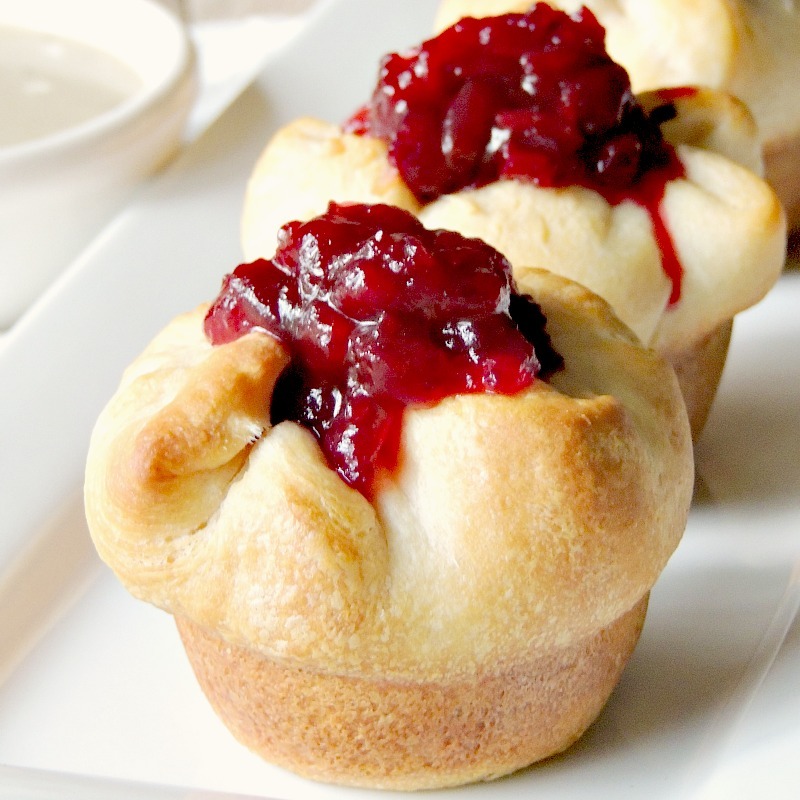 What a fabulous way to serve leftover turkey! 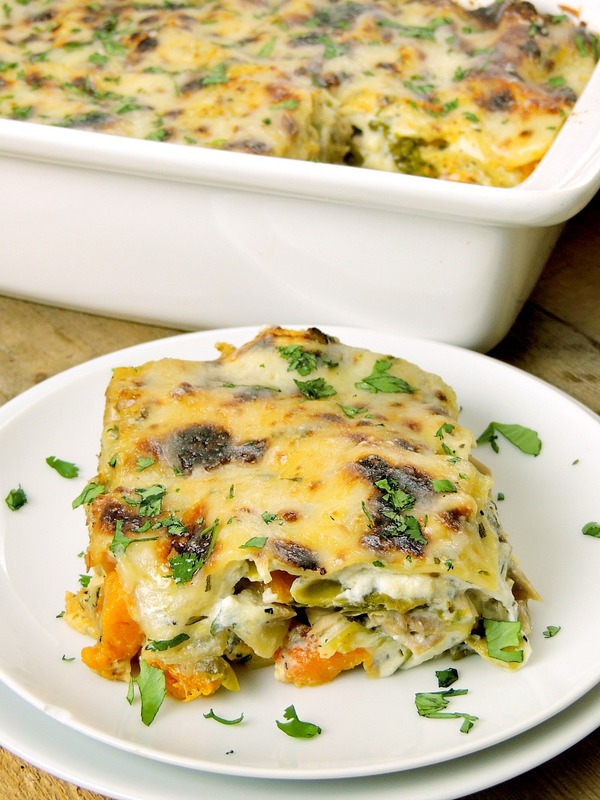 This after-the-holidays recipe for Leftover Turkey Lasagna is simply brilliant! 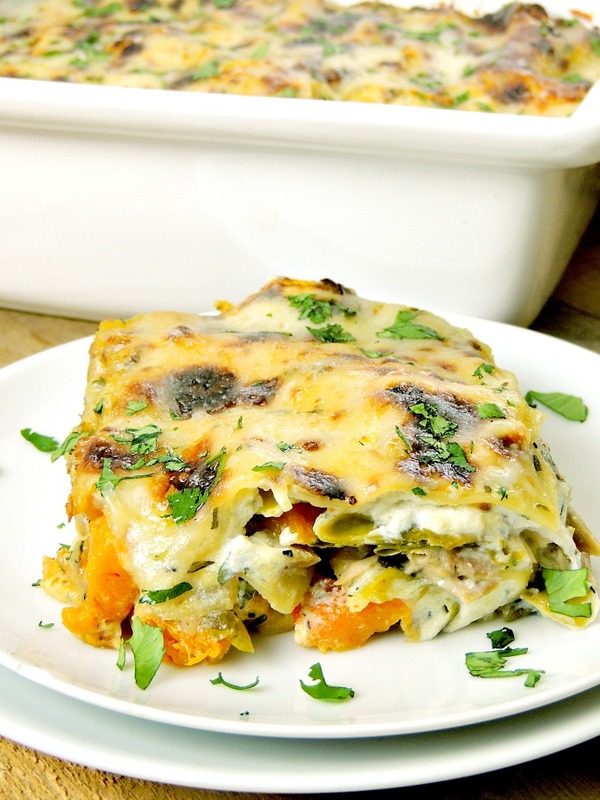 This Leftover Turkey Lasagna looks so perfect! I would really love to try it soon. Looks so yummy! What a great idea to have this kind of recipe. I must confess, we sometimes eat just a few bites and this is a good way to not put the food into waste. Will definitely recommend this too my friends as well. Now this sounds like a turkey left over idea I could get behind, I have to admit I am awful with turkey sometimes as I find it quite bland but this I could do I think. I remember the struggle of finding what to make with leftover turkey back in the day. Lasagna is always a hit. This is a great idea for leftovers. And not just for turkey, it can be made with some other things, too. I'm pinning your post, I really like it. By the way, your pictures are beautiful. Awesome!! And thank you so much for the compliment! This is so true! At home, we are use to eating party leftovers and its not an issue for us. My Mom intentionally cooks a lot so that the next morning she would not do it and just be pampered. This sounds so yummy! We had tons of leftover turkey from christmas! This sounds like a great way to use leftover turkey from the holidays. It looks so cheesy and delicious. 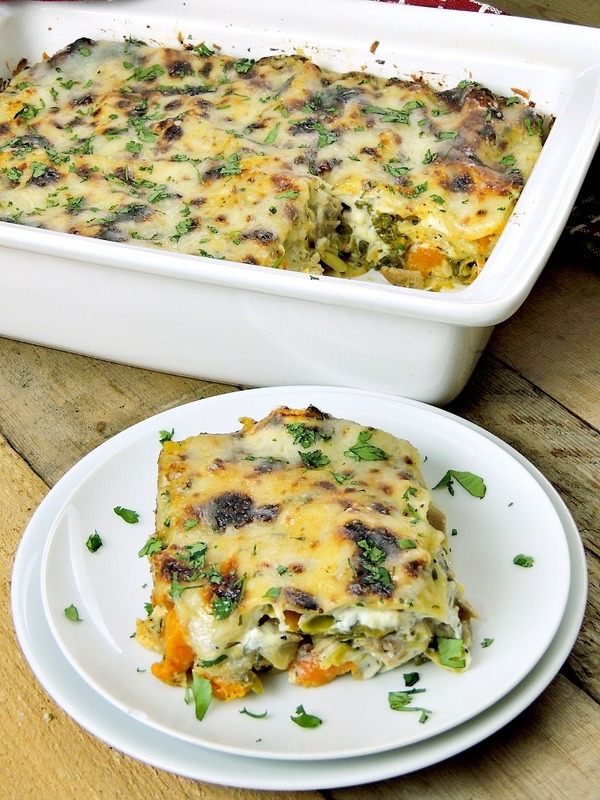 I love this great use of leftover turkey and it's a healthy delicious recipe too. SO glad you like it Riley! This dish is delicious and attractive, thank you for sharing.